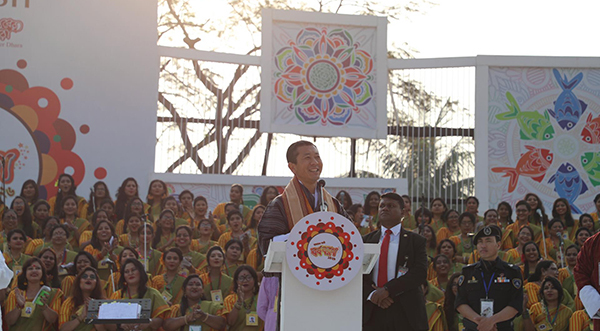 The Prime Minister Dr Lotay Tshering attended the Bangla New Year celebrations in Dhaka this morning. Various cultural items were presented at the celebration. The prime minister also visited one of his former universities in Bangladesh, the Mymensingh Medical College. He met with Bangladeshi and Bhutanese students currently studying in the college and also joined a reunion celebration with his former batchmates of the college. Lyonchhen also met with the Bangladeshi Commerce Minister in the evening. He is on a four-day official visit to Bangladesh upon the invitation of the Prime Minister of Bangladesh, Sheikh Hasina. He will arrive in the country tomorrow.